Benue State Governor, Samuel Ortom has today, Wednesday declared the banning of open grazing in the state. The announcement was made by the governor, in a broadcast aired in Makurdi, to mark the beginning of the implementation of the Anti-Open Grazing Law. 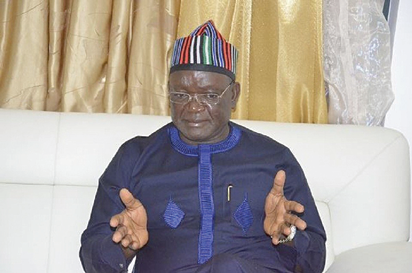 Ortom charged residents of Benue State, who are into livestock business to comply with the new law. The governor said, “Fellow Nigerians and Benue citizens. Today, first November 2017, marks the beginning of the prohibition of open grazing in Benue State. I call on all citizens residing in Benue State who are into cattle or livestock business to abide by this law. Ortom cautioned residents not to take laws into their hands but report those who disobey the law to appropriate authorities. “No one should take laws into his hands. We have put in place adequate machinery to enforce the law. “Where there are trespasses or infringements of the law, report to the appropriate quarters and it will be duly handled by the team put in place. I want to appeal to all of us to be law abiding. He added, “All of us must team together and work to ensure the success of this law. “We have suffered hardship, we have suffered pains, we have suffered sorrow. We have lost so much from both sides and we cannot allow this to continue as leaders with the responsibility of providing security for lives and property. Recall that on Tuesday, Benue residents had marched en mass to show support for the anti-grazing law.